What a familiar atmosphere! It was like spending some time with friends cooking something tasty. And actually this is how I would like this Marina's Kitchen Space to be! So, we were five people in that wonderful place that is the Highbury House! A place for families. 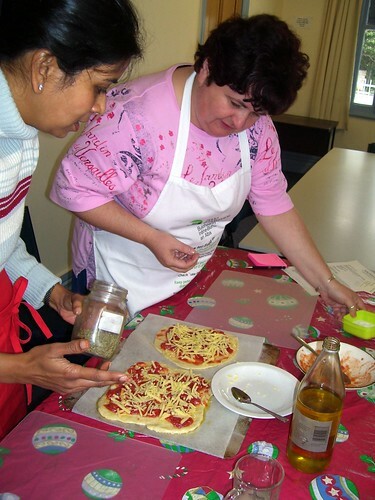 You could bring your little ones along and leave them at the crechè...while you enjoy cooking class! Then you go home with them and your magnificent food! So ... we put our aprons on and... started!!!! So it was the first date of the course... and we prepared a classic of the Italian Tradition! Making pizza dough is not the quickest process, but it's easy, and if you are an aficionado of Italian food you know that it's worth the effort to find your best pizza dough recipe, it will reward you with perfect pizzas every time. Strong white flour is best (in some countries this flour is marked as bread flour). 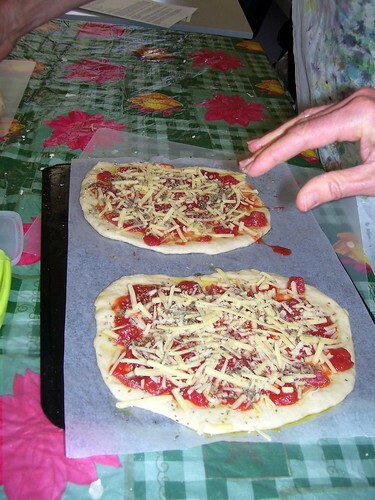 Although plain flour can be used as well, it does not have the same high gluten content and therefore the finished pizza dough will not be as stretchy. Watching a pizza chef doing acrobatics with the dough is proof enough how elastic the dough should be, they throw it in the air and catch it with their fingers without it leaving a dent in the dough. 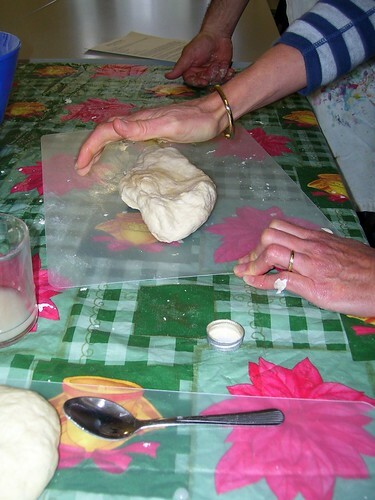 This shows that the gluten has done its work and the pizza dough is robust and flexible.1. Activate the yeast by mixing it with lukewarm water and ¼ of a teaspoon of sugar. Let it rest for 5 minutes. 2. 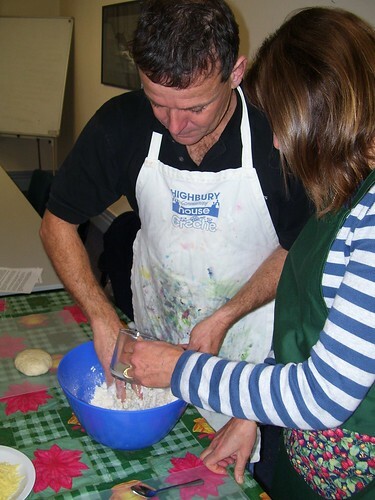 When bubbles, mix all the ingredients of the dough together and start kneading... and knead, knead, knead till the dough has the right consistency: not too dry... and not to sticky! If it is too sticky you should add some flour. If it is too dry you should add some lukewarm water. 3. I would at this stage suggest to put the dough in a good warm place to rise and let it rise there for about two hours: till the dough has approx doubled. 4. Then take it out form the oven and turn temperature up to 250° and then start shaping you risen dough and then ... at this point you can start to create your own pizza... Afterwards put it into the oven for about 15/20 minutes. 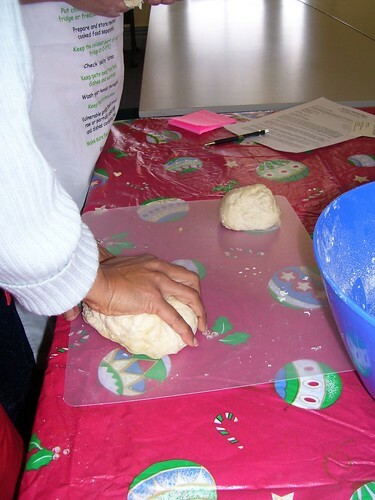 Pizza dough keeps in the refrigerator for several days and frozen pizza dough can be kept for several months. I always have frozen pizza dough in the freezer for emergencies, and I find that if it is frozen in pieces the size of golf balls then it is defrosted in ten minutes. 1. Make your sauce, the ragù could cook up to 4 hours… this is what the tradition says… but the cooking time really depends on how much time do you have available… the choice is yours! Place the olive oil, salt, onions and garlic in a pan or a pot (it depends on how much sauce you are going to prepare). Dial the heat up and sauté for a minute or two. Add the mince and cook until browned and cooked through. Add the tomatoes and slowly bring to a simmer as well. Add salt and the spices. Let the sauce cook as long as you can at a medium heat. 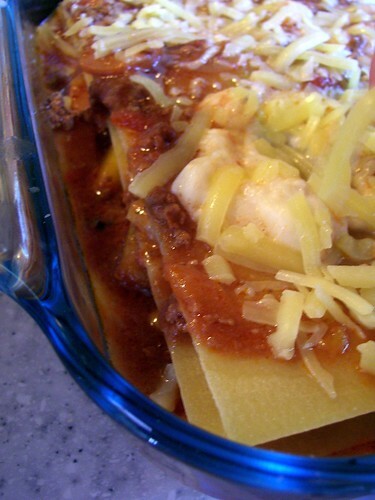 While the sauce is cooking you start to prepare the lasagne sheets. 2. 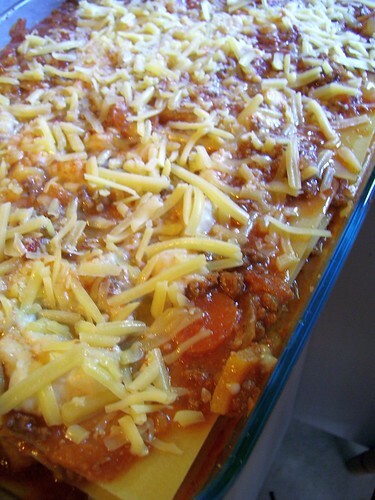 Pre-cook the pasta (if you want): Fill a large pot of salted boiling water with your lasagne sheets. Ok, now you are ready to boil off your pasta. After 5/7 minutes (when they are softer and absorbed the water) fish them out (I use a pasta claw) after just 15-20 seconds, don't over cook. Transfer them on a flat and neat cotton towel. It is ok for them to overlap, I don't have a problem with the sheets sticking typically. 3. 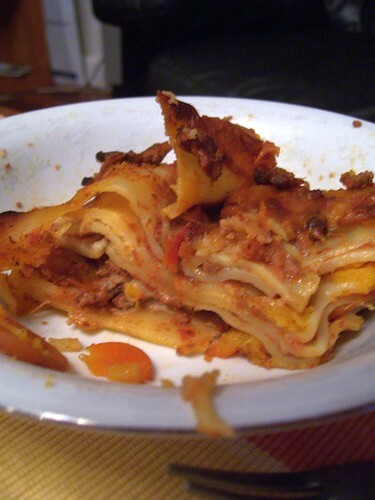 In a dry lasagne pan, ladle one cup of sauce and spread along the bottom of the pan. Cover with a layer of pasta sheets. Now a thin layer of sauce, and a bit of béchamel sauce. Go for another layer of pasta, then sauce and béchamel, then pasta again, then sauce … and so on… Keep going until you've used up all the sauce and pasta. You want to finish with a layer of pasta. Top with the last of the sauce and the very last of the cheese so you have a nice cheesy top. 4. 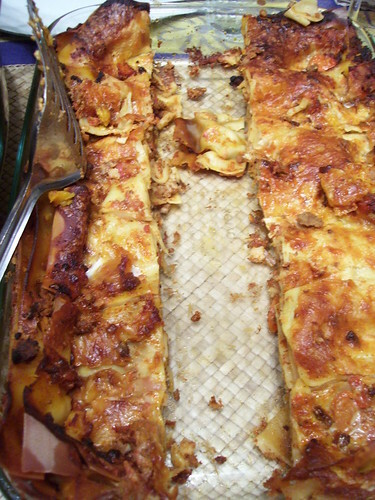 Tent lasagna pan with aluminum foil (not touching noodles or sauce). Bake at 180° for 45 minutes. Allow to cool before serving.